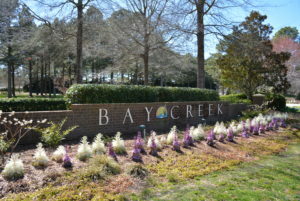 « Located in the charming little town of Franktown on Virginia’s Eastern Shore, this cozy one story waterfront cottage is move-in ready for Summer 2019 fun ! 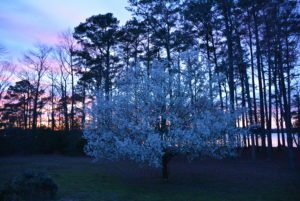 OUR BEAUTIFUL HARBINGERS OF SPRING ON THE EASTERN SHORE….. 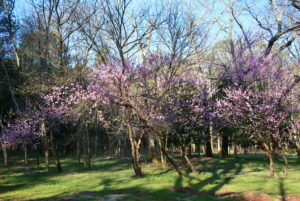 THE SPECTACULAR BLOSSOMS! 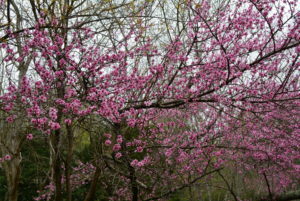 April brings a whole Universe of Pink to Virginia’s Eastern Shore. And when we say Pink we mean the whole Pink color spectrum- – from fuchsia, magenta, rouge and softest rose to barely blushing apple blossom. (Need we say more, it’s truly Pink ! ) And we love it, because of course, Pink is the universal color of love. 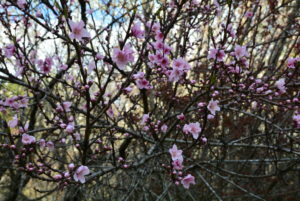 So, blossoms blazing everywhere…. 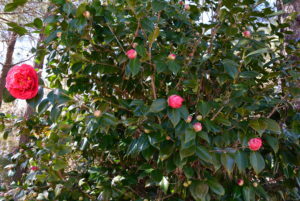 in yards, along roads, by offices and in woodlands, a special Valentine in April straight from Mother Nature. 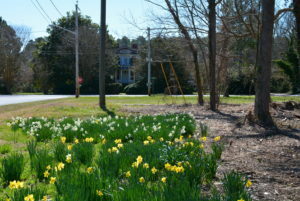 And of course, there are other showy Spring colors, the sunny yellows and oranges of the daffodils and jonquils, the Bradford pear trees with myriad white blossoms covering the entire tree with a snow- like blanket. 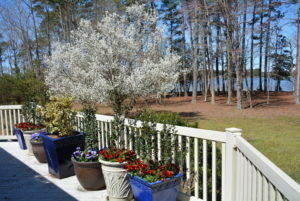 Or the tiny dogwoods with delicate yellow centered blooms, variegated white and red camellias, lavender azaleas, lilac- colored laurels, all contributing to the joyful celebration of Spring. So ….Keep Calm, Spring has Sprung ! To borrow a phrase – Live in the Sunshine, Swim the Sea, Drink the Wild air ! Because it’s Spring ! 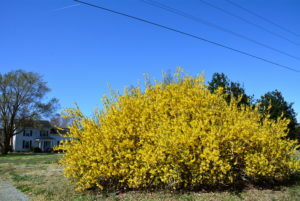 This entry was posted on Friday, April 12th, 2019 at 1:05 pm	and is filed under Climate and Weather, Gardening, Just Having Fun, Nature, Our Little Towns. You can follow any responses to this entry through the RSS 2.0 feed. Responses are currently closed, but you can trackback from your own site.